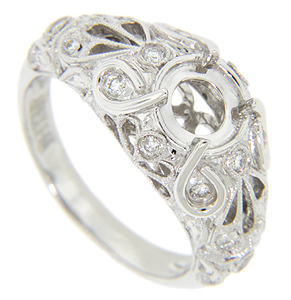 Looping designs and diamonds decorate the top of this 14K white gold modern engagement ring mounting. The ring measures 10.3mm in width. 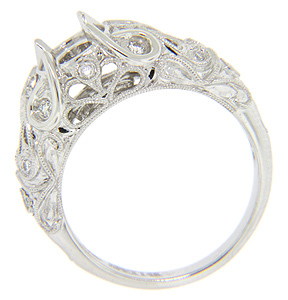 The ring set with a center diamond can be found on the website as R2040. Size: 6 1/2. We can re-size and reorder.